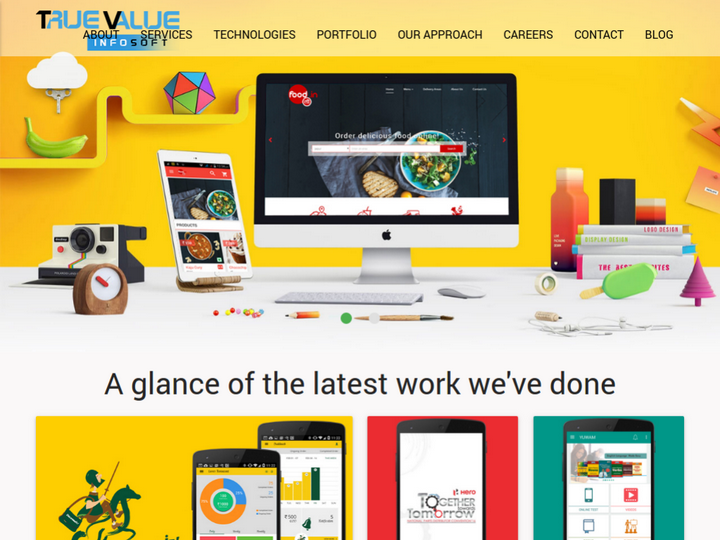 True Value Infosoft (P) Limited is an ISO 9001:2008 certified web designing and mobile app company. It was established in 2011. We are leading solution provider for internet based applications. We provide unique solutions and user-friendly approach to our clients in internet marketing. We take care of every aspect of website designing from programming, copywriting and graphic designing to the complete development of the website. The complete experienced professionals dedicated to IT company solutions are present under one roof in our company. Our quality of service is very helpful in the customer retention rate of our client. We believe in full-featured web development and marketing the products through social media and search engines. I have good experience with True Value Infosoft. Great company with numerous experts for all IT requirements. They are capable enough to produce quality work according to current industry standards. I recommend them to all those who want to hire a company for your job. True Value Infosoft developed my mobile application myekart . I have good experience with TVI. TVI team having good technical and communication skills. Very talented team ! Put a lot of time in getting the project exactly per specifications, with great communication and prompt response to questions and updates. Great support! Highly recommended and will work with on future projects. True Value Infosoft Private Limited Mobile applications for smartphones that run on Android and iOS. The app development is part of the mobile-friendly services that are offered by this Jaipur-based company. The purpose of the apps is to let clients gain an edge in their respective niches by capturing local patrons. GPS-enabled applications are very useful for small businesses that primarily rely on walk-in traffic rather than online sales. At the same time, this company can help e-commerce websites get more online traffic with brilliant marketing campaigns that are launched via mobile apps with maps, reviews and other useful features for customers. Quality work within timeline and core technical team.... 10/10 in all the aspects !! !